Zhou Yuelong became the first player to qualify for the 2018 Championship League Snooker Winners’ Group, defeating Anthony Hamilton 3-2 in the Group 1 final on his tournament debut. 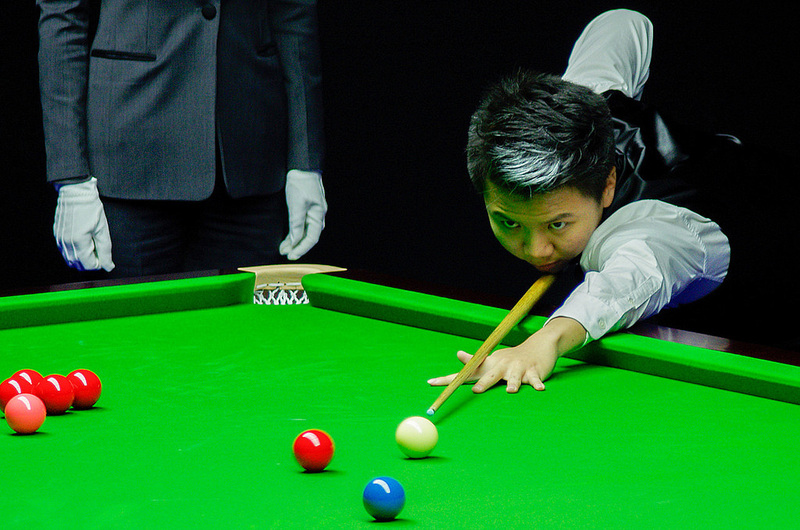 Zhou had taken an early lead in the final with a 72 break after a rerack in the opening frame before Hamilton levelled. The German Masters champion edged ahead by taking the third frame and then had the opportunity to win the match in the fourth but missed the final red, allowing Zhou a 33 clearance to steal the frame and force a decider. At a shade over 36 minutes the fifth frame was the final’s longest but Zhou, the 19 year old from Chengdu, managed breaks of 29 and 32 in taking the decider 13-94. Both players had won their group semi-finals 3-2, Zhou overcoming Ryan Day and Hamilton having got the better of Stephen Maguire. Having finished fifth on the round robin group table, Kyren Wilson will return to compete in group two along with Day, Maguire and Hamilton. They will be joined by Neil Robertson, Mark Selby and Barry Hawkins. Mark King and Michael Holt were eliminated from the tournament. Zhou will return for the Winners’ Group on March 28th and 29th.